Bracken MacLeod has worked as a martial arts teacher, a university philosophy instructor, for a children’s non-profit, and as a trial attorney. In addition to Mountain Home, he is the author of the novels, Stranded and Come to Dust. 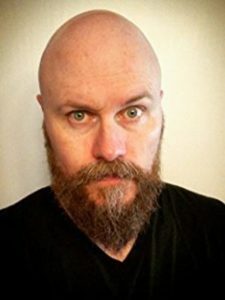 His short fiction has appeared in several magazines and anthologies including LampLight, ThugLit, and Splatterpunk and has been collected in 13 Views of the Suicide Woods by ChiZine Publications, which the New York Times Book Review called, “Superb.” He lives outside of Boston with his wife and son, where he is at work on his next novel. Available Tiltes by Bracken MacLeod: MOUNTAIN HOME.